Dear Apple Butter, I Love You! So when my neighbor told me that she has connections with local farmers who could deliver hand picked apples to my home, I figured this is going to be as close to picking apples as I’ll get here in China. The apples are delivered within a few day after being picked and their freshness was really obvious when I opened the box. So why should I buy my apples from Green Basket as opposed to the local fruit market? HAZARDS TO HUMANS AND DOMESTIC ANIMALS. CAUTION: Harmful if swallowed or absorbed through skin. Avoid breathing spray mist. Avoid contact with skin or clothing… Do not apply to humans, pets, plants or contaminate feed, foodstuffs, dishes or utensils. While I am diligent about thoroughly cleaning my fruits and vegetables regardless of where I buy them, the knowledge that the fruit that we are consuming was sprayed with a lethal chemical terrifies me! I mean, how well does one need to clean a fruit after it was sprayed with bug repellent chemicals? And even then, is it actually clean enough? IS IT?? I’m not saying that all fruit vendors spray their apples or that I will never buy fruit from the local market again, but if I have an opportunity to buy clean apples to feed my family, I’m going to jump on it. I moved to Shanghai a year ago with my husband and three kids. For more than 13 years, I had been working with CSR (Corporate Social Responsibility) for a global healthcare company based in Denmark. The company has offices in more than 80 countries around the world – and of course also in China. 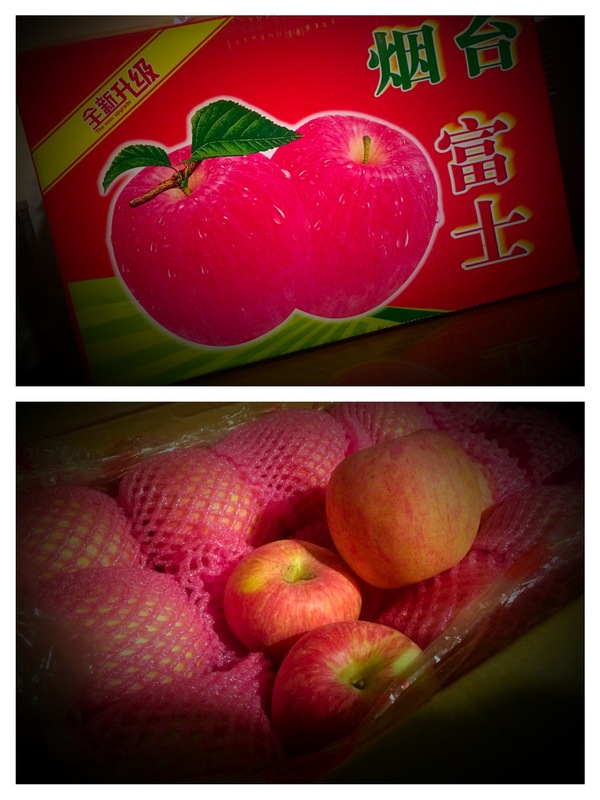 I knew that one of my colleagues (and friend) from the Chinese office was selling apples to her colleagues at the office and her network in Beijing. She was doing this to help the farmers from her hometown sell their apples outside the local community. She also paid a slightly higher price for the apples than other buyers. Her hometown is Qixia in the Shandong Province. 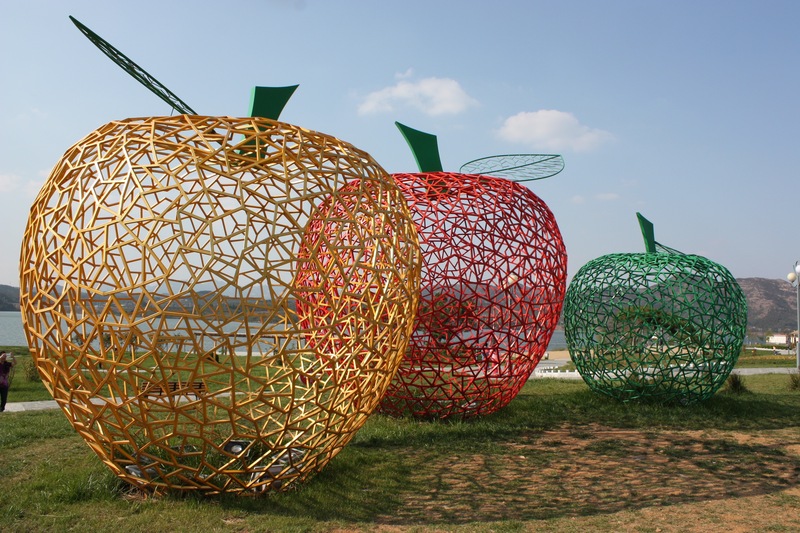 Qixia is located in an area that is particularly known for growing delicious apples. I loved the idea of helping the farmers finding sales channels in the big cities – while at the same time bringing healthy food to urban families. And we decided to team up. As most other expats moving to China, I was concerned about eating safe and knowing where my food came from and how it had been treated. I therefore also liked the idea of buying direct from the farms. I knew that the organic market in China would be less developed than my home country Denmark (where consumers by more organic products, per capita, than any other countries in the world.) And also that there is a lack of trust in organic labeling due to lack of control, false labels etc. But at the same time, I believe that this is an area that will develop in the future – and I thought it could be interesting to contribute positively to this development. We therefore decided that 10 of our earnings should be given back to the local communities to projects that can inspire organic farming. The apples from Qixia are not organic. 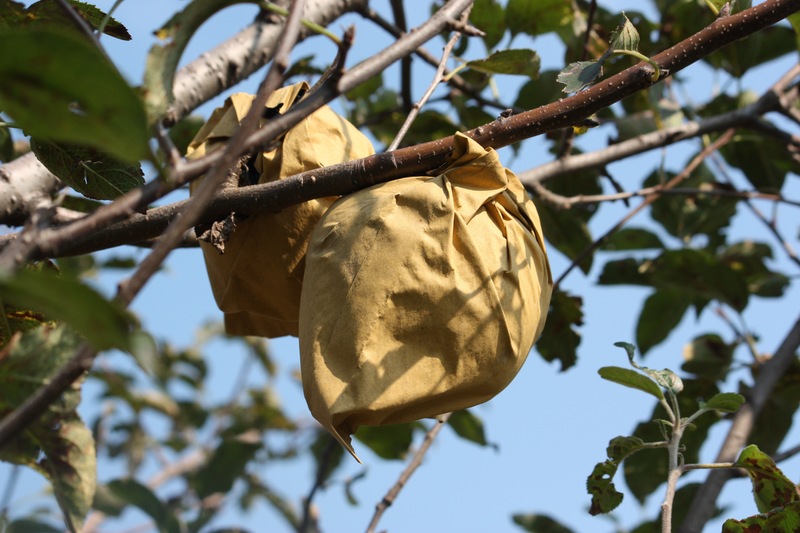 The farmers tell me that the apples have not been sprayed directly because each of them have been covered by a paper bag since very young to protect it. The bags are removed two weeks before harvest to ensure that the apples get sun and colour. In Qixia they are extremely proud of their apples. I am currently working to launch subscription to weekly fruit & veggie boxes. Hopefully in the beginning of 2016. The concept is the same. Transparency in how the products have been treated and 10% back to local communities to inspire organic farming. Now that I have 10kg of apples (and another 20kg on the way at the end of the month), I am inspired to whip up these apples into tasty dishes. Every year at the apple orchard back home I buy a jar or 2 of Apple Butter. I love the sweet taste of it on a slice of toast with my morning cup of coffee. Although I’m pretty excited about swirling it in my oatmeal tomorrow morning! My cousin and fellow cooking affecienado Basema told me that she prepared her Apple Butter using a slow cooker, so I decided to do the same. After 12 hours in the slow cooker, I poured the mixture into 2 – quart-sized jars, but I noticed that it was extremely watery. I figured the Apple Butter would thicken as it cooled so the next morning I checked on them and the mixture was still just like water and not really very good. After rereading the recipe, I realized that I made a mistake… “cook another 2 hours, uncovered” the recipe says. AHA! This is where I made an oopsy! Instead of removing the lid, I recovered the pot after adding the vanilla, meaning liquid did not evaporate to leave behind a thickened mixture. I poured the watery Apple Butter in a saucepan, and brought it to a low simmer. After 1 hour and 45 minutes, the Apple Butter had reduced by half, and all of the tell-tale signs of Apple Butter came to fruition. Note: Apple Butter isn’t Apple Butter until the mixture slowly oozes off your wooden spoon and when you can stand a wooden spoon in it without the spoon falling over. My mixture went from 2 quarts of a not so tasty liquid mess, to 1 quart of intensely flavored Apple Butter. If after 12 hours your mixture hasn’t thickened enough, pour it into a saucepan and simmer until thick. Mix the sliced apples with all of the ingredients EXCEPT vanilla extract. Make sure apples are evenly coated. Put apples in slow cooker on low heat for 10 hours, stirring occasionally. After 10 hours, stir in the vanilla and cook another 2 hours UNCOVERED. Apple Butter is done when it’s golden brown in color and thick enough that your wooden spoon does not fall down when you stand it in the pot. Puree with an Immersion Blender or Blender. Pour into jars, cover with a lid and refrigerate or freeze immediately. This recipe cannot be canned. 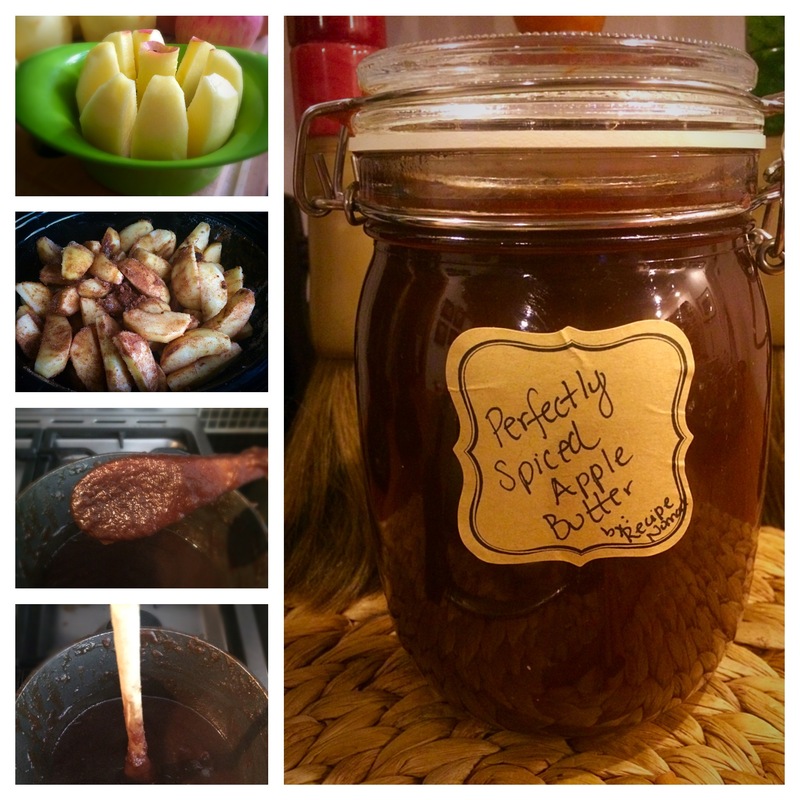 5 Comments on Dear Apple Butter, I Love You!